Homeowners know and understand just how important their sewer lines are. However, the sewer lines connecting to your home often become something that is forgotten until there is a problem that needs to be addressed. When you find yourself looking for professional sewer repair services in Smokey Point, you can look to our team of experts at Schleg Valley Construction to give you the quality work and great pricing that you deserve. At Schleg Valley Construction, we have a long list of happy customers that come back to us time and again for all of their sewer maintenance and repair needs. Whether you are dealing with a slow leak or you have a major clog that has to be addressed, our professional staff is available to offer quality repairs in a timely fashion so that you can get back to life as normal in your home. 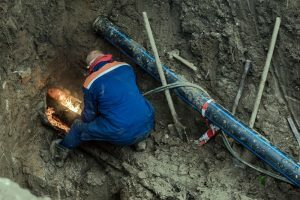 Whether your property has been going through temperature changes and there has been flexing in the pipes, or the soil has shifted and caused damage, you will need to be sure that you have someone available to give you the assistance that you need. Our staff has all of the experience and we have the equipment and manpower to get the job done correctly for you the first time. We understand just how frustrating it can be to have clogging or a backup that disrupts your household. Because of this, we do all that we can to get the job done as quickly as possible. Deterioration, root infiltration, and any other causes for sewer problems are no match for our level of expertise at Schleg Valley Construction. We are always available to give you the best possible experience and all of the advice and guidance you need to care for your sewer lines moving forward. No matter what you need for sewer repair services in Smokey Point, Schleg Valley Construction is your answer. Call us today at (425)312-6750 for a consult!